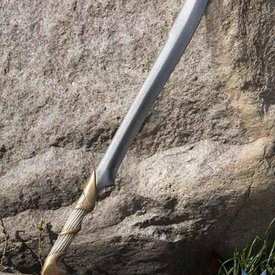 You sneak through the woods, being on your guard against dangers on your path such as holes in the ground, wild beasts, and enemies. 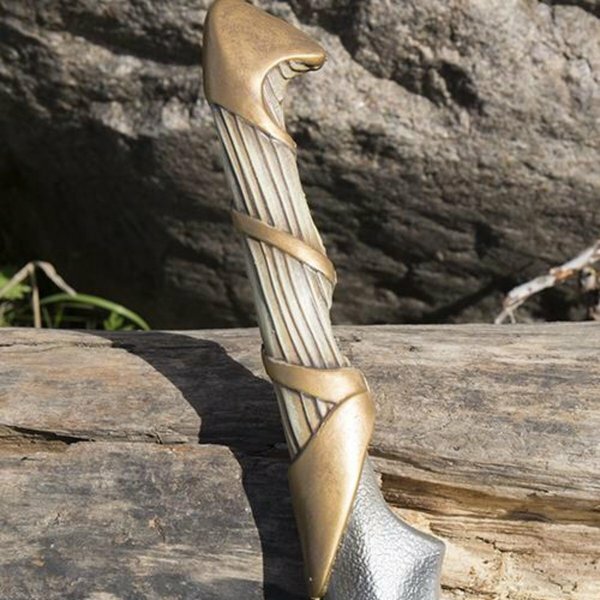 If there is any danger, you have this hunting knife immediately at hand. It has already saved your life and that of your people several times. 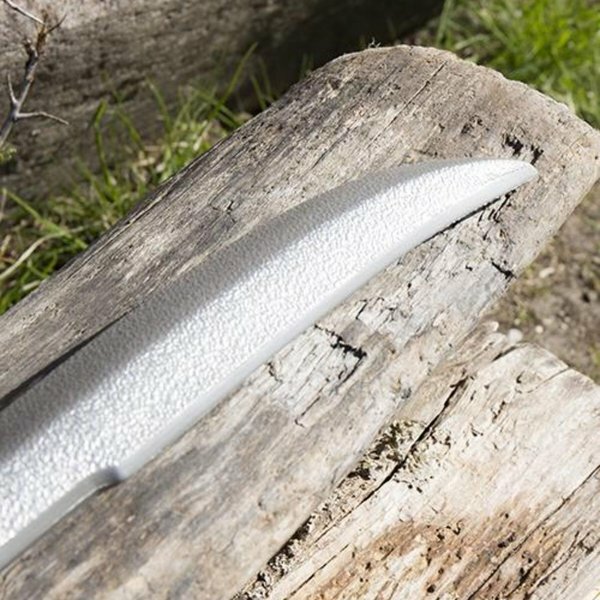 This Elven hunting knife is inspired by the fairy world. 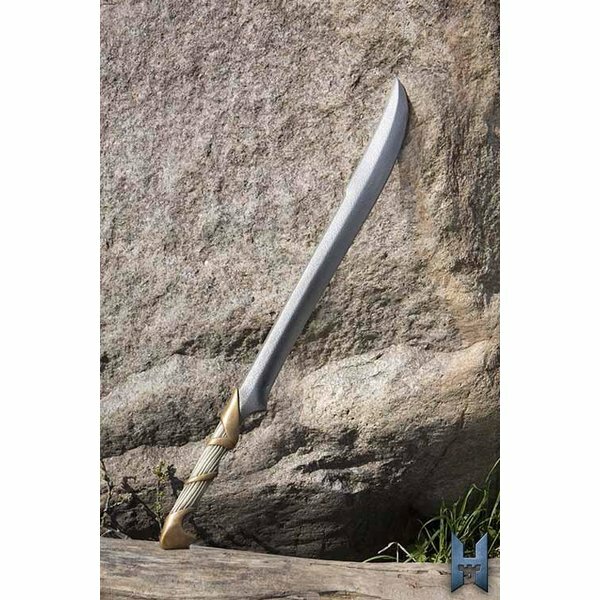 The sword is 75 cm long and has a blade with a curve that is perfect for cutting away any hazards. 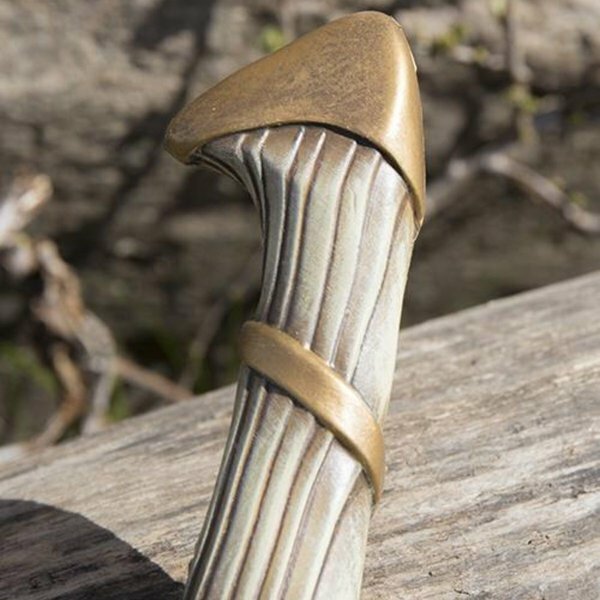 The detailed grip has a hand-painted finish that looks like faded gold wrapped around polished ash. Due to the ridges in the grip, it does not slip out of your hands. The blade is also painted lifelike.